It just hit me. Next year, I will be racing in the 55-59 age group. Should I choose to focus on the fact that I'll be a young kid in that group, or should I focus on the fact that I'll be in my mid 50's racing some folks who were in diapers when I began racing in 85'. I can remember when I started in the sport. There were, maybe 2 races in Northeast Ohio to choose from back in 1985. 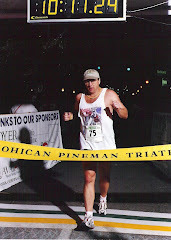 The Perry outdoor Triathlon was where I lost my triathlon virginity. The swim was in a pool. 400 yards. 12 Mile bike and 3 mile run. Then, Cleveland had the Emerald Necklace Triathlon, which was the grandaddy to the Cleveland Triathlon. Older racers may remember National City sponoring races downtown as well. 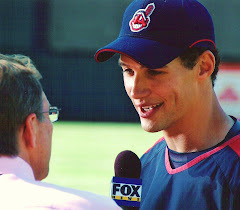 I even remember when a certain cocky Texas kid came to Cleveland as a pro and performed well. Wonder what ever happened to that Lance kid??? Heard he got into bike racing!!! Nowadays, there are several strong organizations that put on races in Ohio and neighboring states. Its really great to see how the sport has "Blown up". Call this a late Thanksgiving tome. Thanks to all the race directors over the years. Thanks to the strong competitors and most of all, thanks to the spirit of everyone who races. So....why are You in the sport??? Whats Your story?? ?